Early on, when I first got into Macs, I viewed Apple as a computer company. Then, they released the iPhone, followed by the iPad, which is as big a part of Apple as the computers. The following graph shows that now computers are a very small part of Apple. I've read that Apple products are overpriced, and that may or not be true -- how does one measure this? But Apple does build a quality product, of which I'm mighty appreciative. 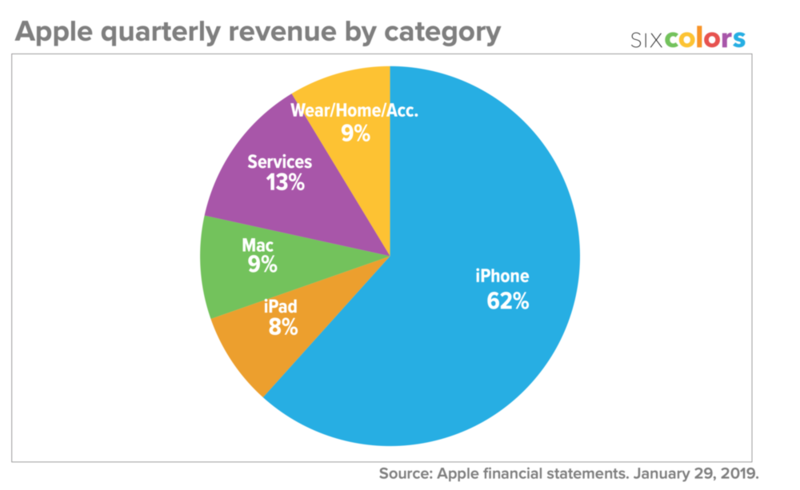 And for every dollar of sales Apple hangs on to 24 cents profit. I wonder if any other companies are able to do this?.